SINCH, the Congress of the Societa Italiana Neurochirurgia, is the most important platform to exchange the latest research results and innovations in the prevention and treatment of neurosurgery. The objective of the conference is to combine existing knowledge and to develop and implement concepts for the benefit of patients across Europe. At this year’s SINCH, Brainlab will be presenting the latest in CT imaging with Airo® Mobile Intraoperative CT, a scanner designed to function inside existing O.R. suites. Overcoming conventional intraoperative imaging limitations, Airo addresses imaging, navigation and patient positioning needs. High CT image quality increases surgeon confidence and supports advanced minimally invasive surgery. Airo functions seamlessly with Brainlab navigation systems to provide high-resolution diagnostic-quality images intraoperatively. 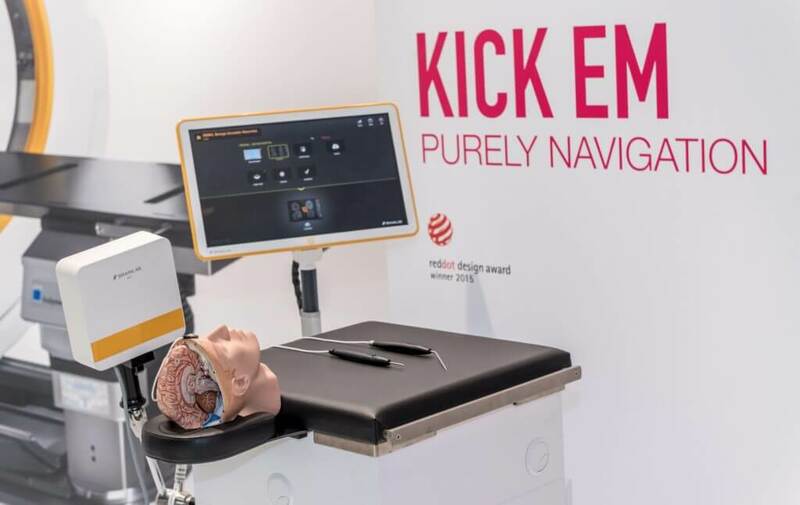 Discover the latest in electromagnetic (EM) navigation, Kick® Purely Navigation with EM tracking for cranial surgery. Offering a high degree of setup flexibility with pinless patient fixation and a large tracking volume, Kick EM Cranial is dedicated to pediatric procedures and shunt placements*. Brainlab Elements showcase a new level of ease for neurosurgery and radiosurgery planning. Brainlab Elements software applications bring instant access to a suite of planning solutions that work seamlessly together, delivering capability without complexity. Stop by Brainlab Booth #24-26 to demo of the newest applications, DICOM Viewer, Image Fusion, Smartbrush and Fibertracking. Come and visit us at the BRAINLAB booth !